Spend some time looking over the first chart below. 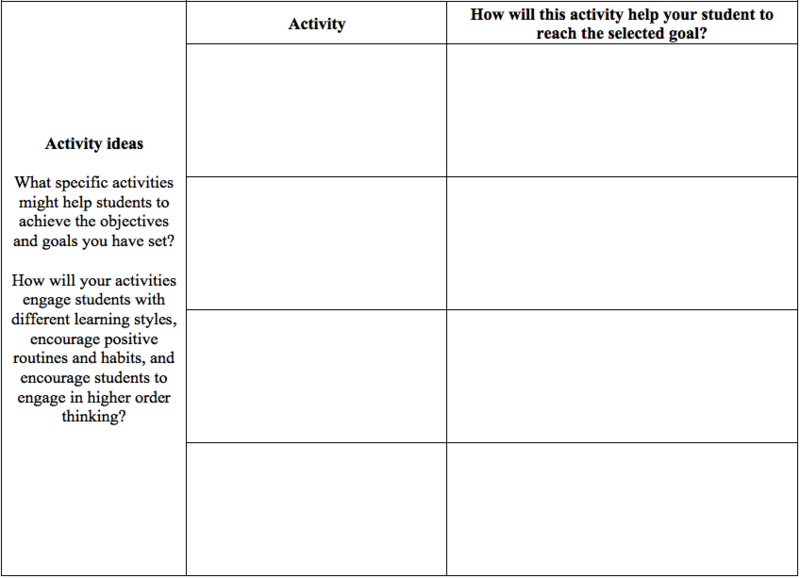 It provides a series of questions that will help you to think through your entire unit including goals and how you might need to structure that unit. 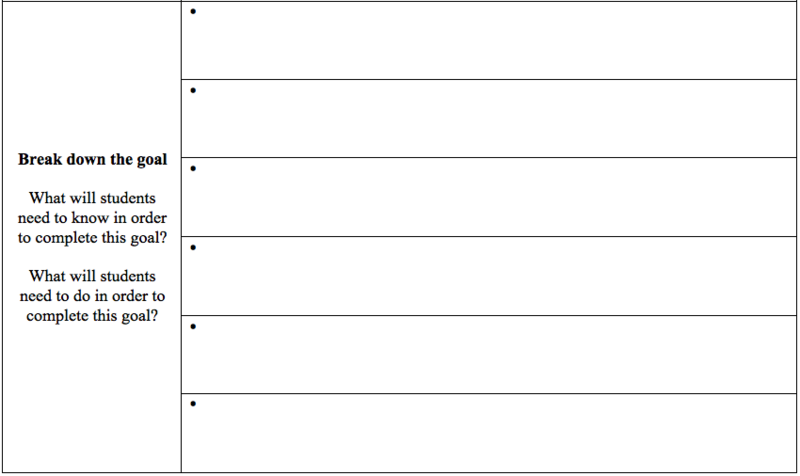 You must think through the order of events in your unit prior to stepping into the classroom. What elements need to come before others in order for students to succeed. You must also think through what success will look like for different students in your classroom. 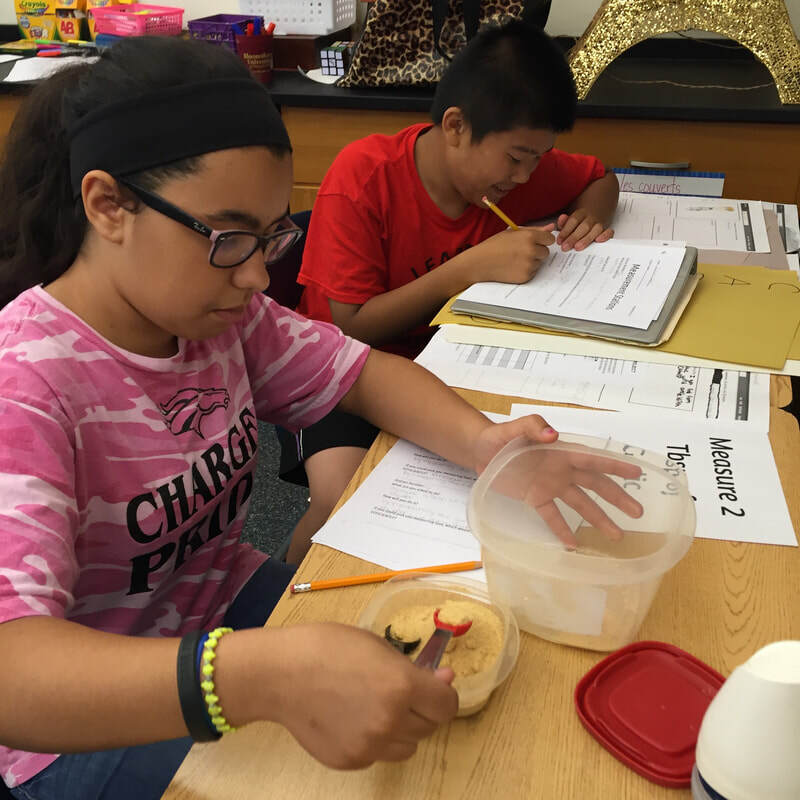 What does mastery look like and what might progress look like for different students? 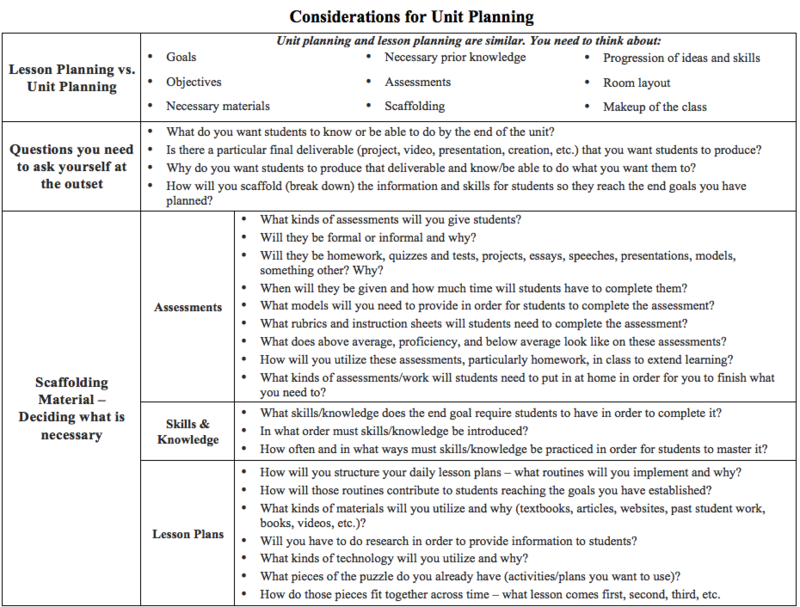 Knowing what you want students to know or be able to do by the end of a unit is crucial to designing a thorough, well thought out, successful unit plan and lesson plans. 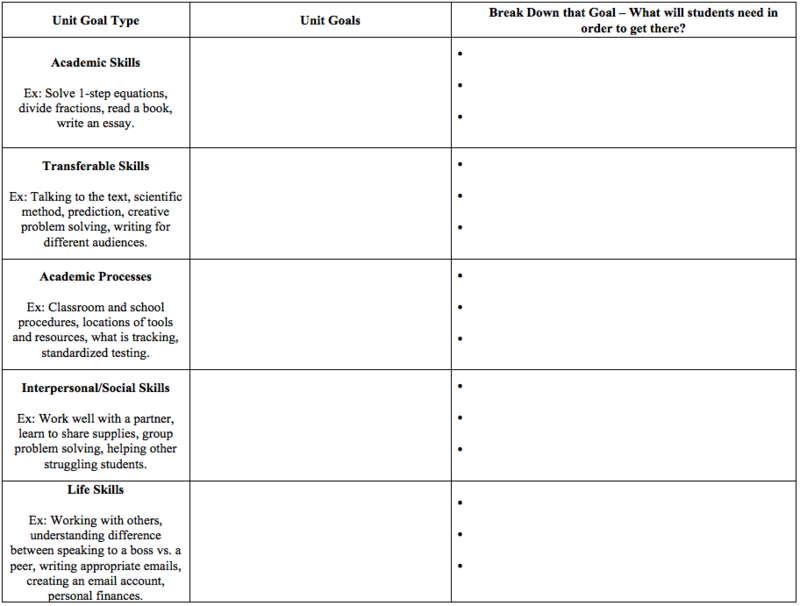 You may have goals for students that range from academic, transferable skills, the academic process, social skills, and life skills. Use the chart below to think through those ideas. Before you begin the activity, let's try one together. Let's brainstorm as a group. 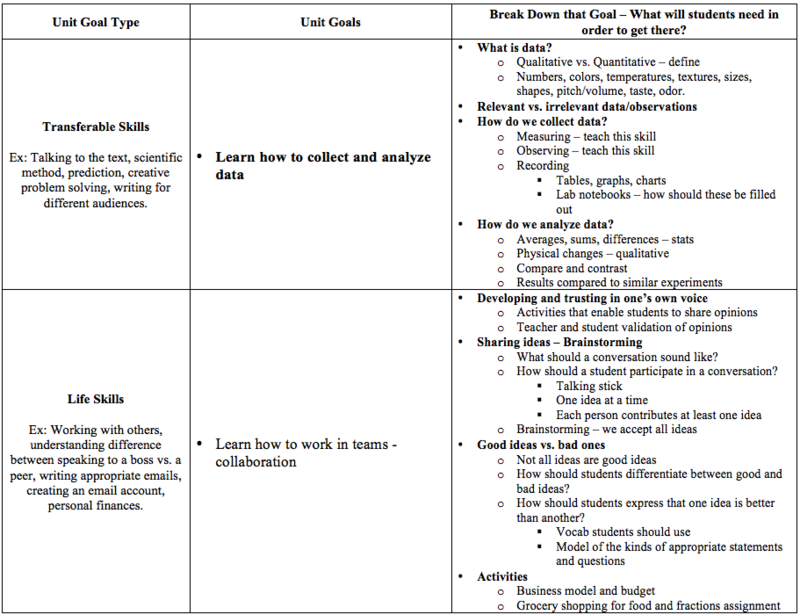 Utilize the next two charts to help you break down your Unit goals. What will students need to know in order to start? 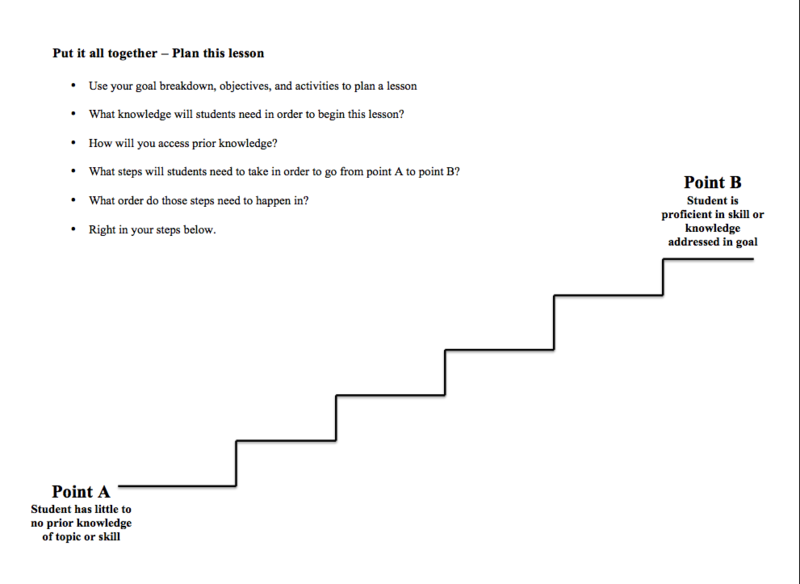 What will students need to know along the way to continue to progress? 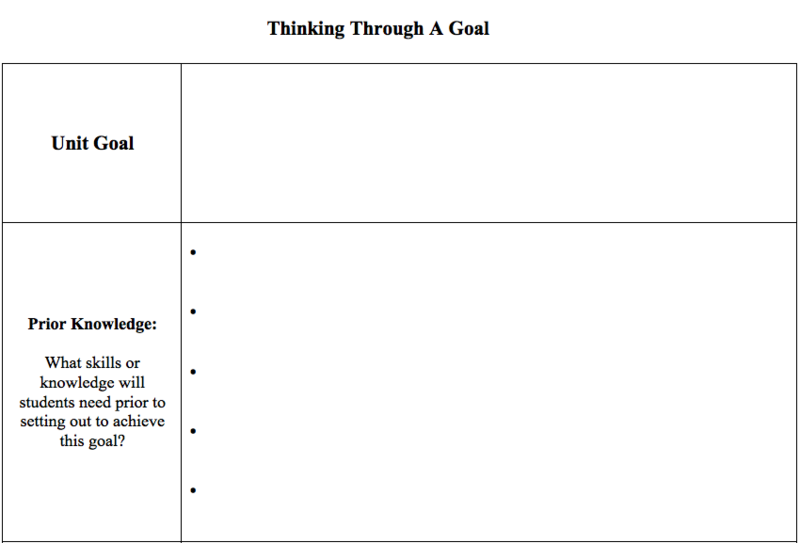 What objectives will help students to achieve the goals you have set? 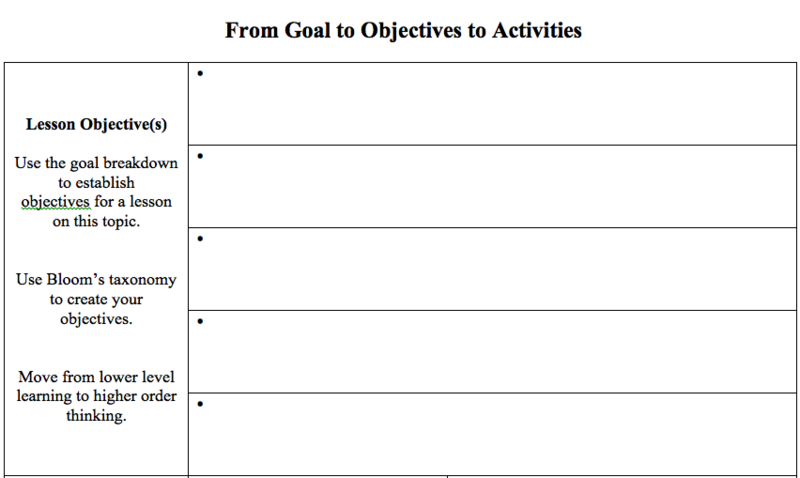 What activities will help students to achieve the objectives? Answering these questions will help you to form a solid plan.